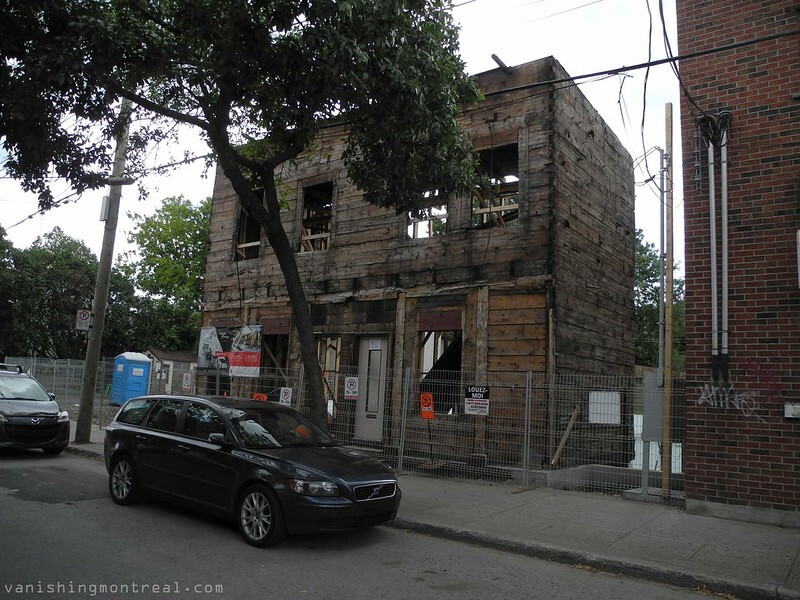 Amazing construction site on St-Augustin in St-Henri. They kept the old house to integrate it with the future new structure. The old house was being kept standing on stilts. I'll show a Before / After on soon. Incroyable chantier de construction sur la rue St-Augustin à St-Henri. 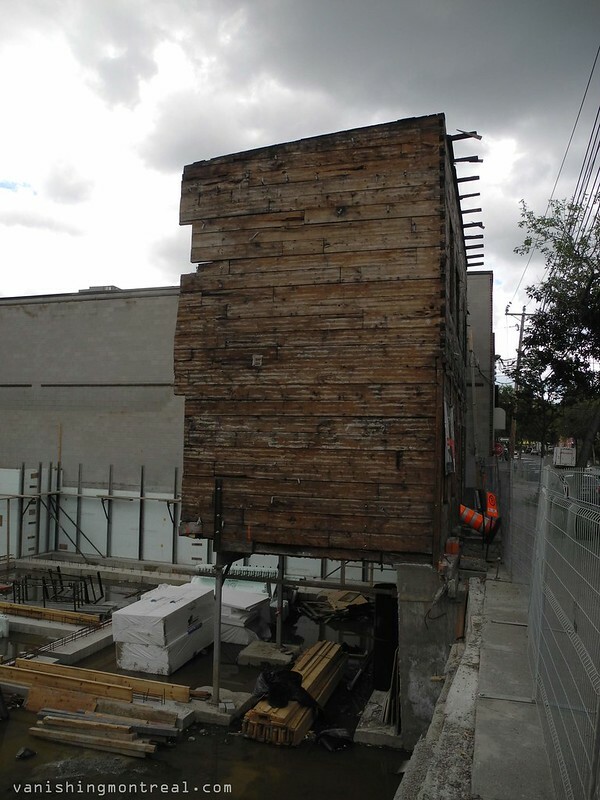 Ils ont gardé la structure de la vieille maison pour l'intégrer à la nouvelle structure. La vieille maison était sauvé par des échasses. Je vais vous montrer un Avant / Après bientôt. Seeing what they're going to do with it will be very interesting. 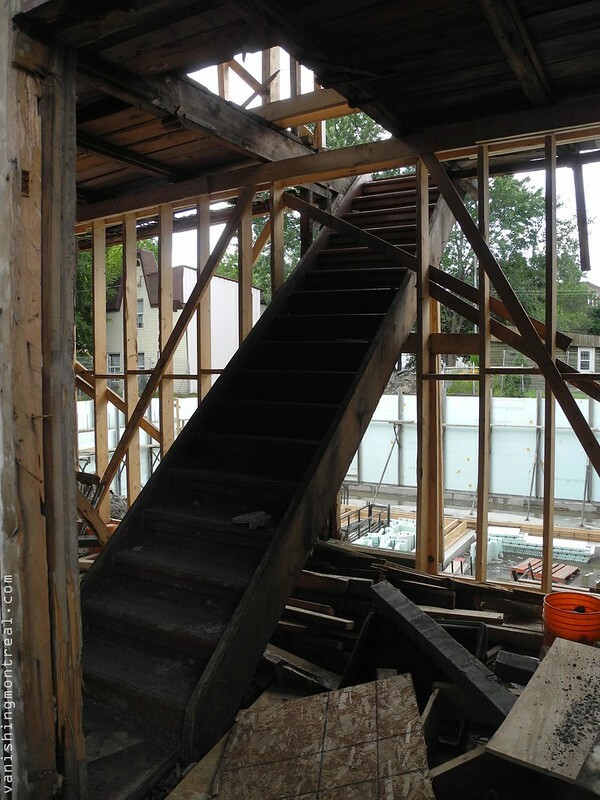 Maybe we'll have a Montreal version of those mega-basements we're seeing in London (where if you can't go up or out, you may as well go down a couple of storeys). And I will admit it: I *like* those old-fashioned awnings over windows and doors. I contend that they are a genuine and honest part of the architectural vernacular of middle-class and working class buildings. Please don't re-brick this in some God awful Réno Dépot sale grey concrete brick... . They sure aren't preserving a lot. I wonder why they even bother.